Recycle Santa Fe Art Festival – 20th anniversary! 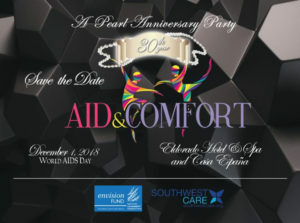 AID & Comfort 2018: A Pearl Anniversary Party! Casa España, 321 W. San Francisco St.